The Metropolitan Transportation Authority (MTA) yesterday unveiled a comprehensive plan aimed at improving New York City's subway system. The plan includes efforts to advance legislation that would separate the agency's chairman and chief executive officer positions into two roles. Splitting the positions would enable MTA to strengthen the overall leadership team and achieve needed operational improvements, agency officials said in a press release. In addition, the MTA is expediting the delivery of 300 new R179 subway cars. The new units will begin arriving in fall, with all deliveries completed by September 2018. MTA New York City Transit (NYCT) also will accelerate the delivery of 450 new R211 cars. 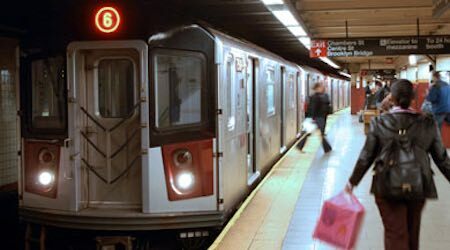 Furthermore, the MTA will kick off a new preventive maintenance program that "aggressively targets components that are prone to failure," agency officials said. The MTA will speed up its use of longer rails with fewer joints. These longer rails have fewer points of potential failure. • targeting and better managing system bottlenecks. "Increasing delays are simply unacceptable, which is why we have to commit to addressing the immediate problems with all the tools at our disposal," said MTA Interim Director Ronnie Hakim. "We are implementing long-term capital improvements. But we also need a comprehensive approach that focuses on reducing the system's failures while our capital investment is underway."